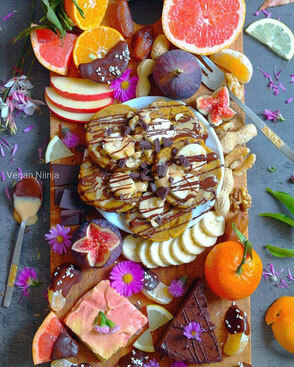 Sweet Pumpkin Pancakes - simply & healthy vegan recipes that taste amazing! Simply blend all ingredients in a blender for 1 minute and then let it set for 15 minutes. Heat a iron or a non stick pan on a LOW heat, add a little coconut oil for the first pancakes and add 1 tbsp/pancake from the batter to the pan. Flip around when you can see bubbles on the surface and they start to get 'dry' on the uncooked side. Cook on the other side for 1-2 minutes. Serve with chocolate, peanut butter, fruits, berries or whatever you prefer. 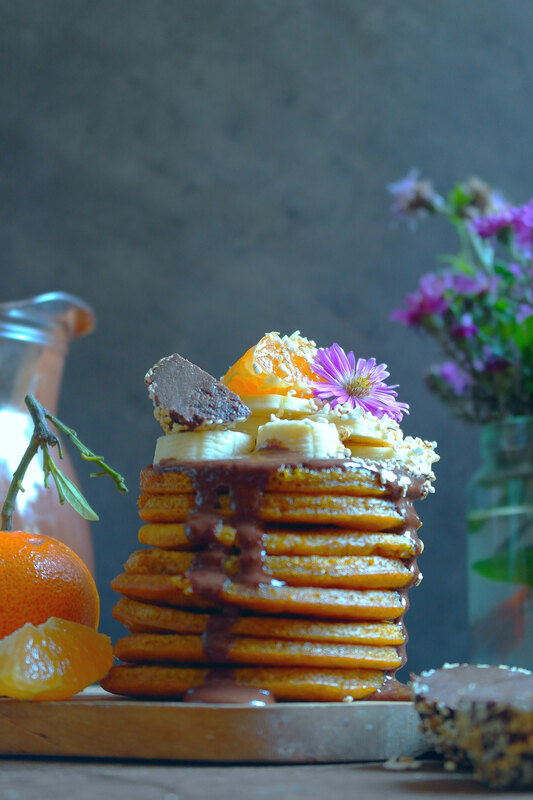 If you try out my pancake recipe, let me know if you liked it in the comments below! I love to get your feedback to improve my work.